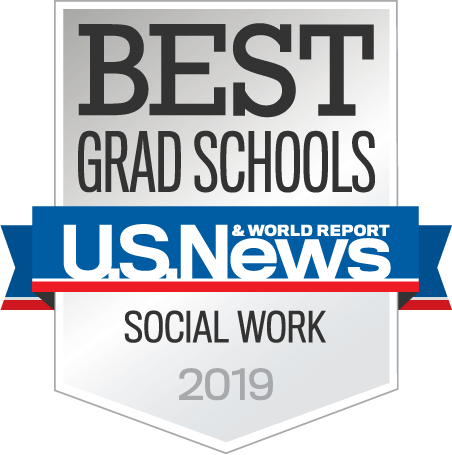 You know you want to help others in a nationally ranked, clinically focused Master of Social Work program. Now, how do you pay for it? 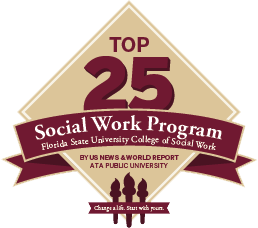 Florida State University strives to provide an affordable online master's in social work. Tuition is broken up into the two programs: Advanced Standing program and Traditional program, as well as whether or not an individual is a Florida resident. If you are new to Florida but have not established residency, you may have to pay the out-of-state tuition. Market rate tuition refers to an out-of-state student who attends the main campus and pays the in-state tuition plus an out-of-state tuition differential of approximately $1,100 per credit hour. 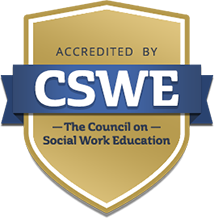 Individuals participating in the online program enjoy a market rate difference of more than $400 with a market rate of $625 per credit hour. In addition to potential scholarships, FSU also encourages students to look at the wide array of financial aid options available to them. The other government option is the Federal Perkins Loan Program. Under this program, Florida State University is the lender. This loan program applies to students with exceptional financial need. If you have any questions regarding federal financial assistance, please contact us on this page. Private loans through private lending agencies are available, but they may have a higher interest rate than federal financial aid. FSU cannot recommend specific lenders. Post-9/11 GI Bill (Chapter 33): If you are a veteran who served active duty on or after Sept. 10, 2001, you may qualify for financial aid under this program. Post-9/11 GI Bill (Chapters 30, 31, 32, and 34): This bill pays benefits up to 10 years after release from active duty and provides 36 months of education benefits to eligible veterans. Survivors’ and Dependents’ Educational Assistance Program (DEA) (Chapter 35): If you are a dependent of a veteran who is permanently and/or totally disabled due to a service-related condition, or you are the dependent of a veteran who died while on active duty as a result of a service-related condition, you may qualify to receive up to 45 months of education benefits. Montgomery GI Bill — Selected Reserve (MGIB-SR) (Chapter 1606 and 1607): Members of the Selected Reserve, including the Army Reserve, Navy Reserve, Air Force Reserve, Marine Corps Reserve, Coast Guard Reserve, Army National Guard and Air National Guard, may receive 36 months of education benefits. Eligibility and its components are determined by the Selected Reserve. Entitlement ends 14 years from the date of eligibility of the program or the day the participant leaves the Selected Reserve.